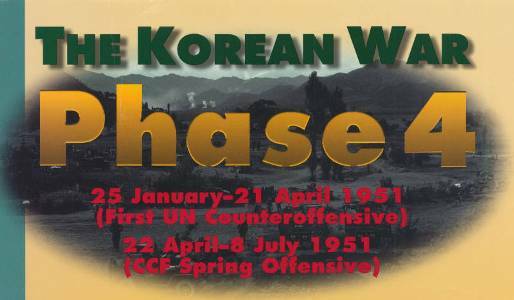 The Korean War started 60 years ago today. I grew up knowing about the war as fictionalized by M*A*S*H. In history class, we never made it that far into the twentieth century and, unlike today, the conflict between North & South Korea never came up in our current events conversations, making it a forgotten war. 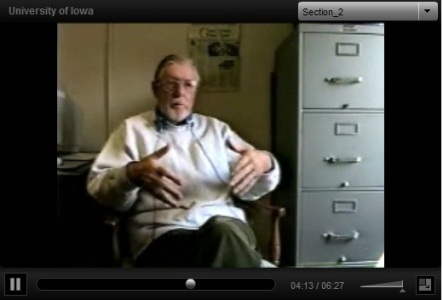 The University of Iowa Libraries digital collections have a small amount of material relevant for people interested in learning more about this conflict. In an oral history interview, Otto Knauth, a former Des Moines register reporter, recounts putting together the story of the invasion. Our collections also include papers of Henry A. Wallace. His view towards communism changed due to the Korean War, so some of these letters are of particular importance for learning about the effects of the war on attitudes in the United States. 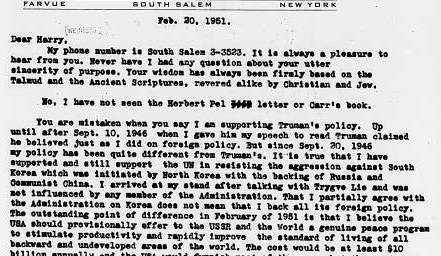 A Feb 20 1951 letter to Harry Weinberg clarifies his differences of opinion with Truman. Our government poster collection includes a chronology of phase 4 of the war, detailing events of 25 January-21 April 1951. During this time the US and republic of Korea forces decided to cross the 38th parallel again and General MacArthur was relieved of duty. This is not the only view presented on the Chautauqua circuit; our collections include a brochure for a movie by Thomas E. Benner showing life and culture of the Korean film, made before and after the communist invasion. While the UI press book Memoirs of a Cold War Son doesn’t directly talk about the Korean War, it gives a first hand account of growing up in this era. Our collections also include analyses of various aspects of the war. For example, we have a 1997 interview of Han Ki about the effect of the Korean War on literary production in Korea. You can also listen to Marshall Poe’s interview of Julian E. Zelizer about his book Arsenal of Democracy: The Politics of National Security From WWII to the War on Terrorism. Unfortunately, the armistice between North and South Korea is fragile and the world still is dealing with hostilities. Our Foreign Relations Council series includes several talks about North Korea, including a lecture by Scott Snyder on Dec 1, 2009 about the 6 party talks.